We are currently awaiting a new fridge freezer and thus eating our way through the old one. 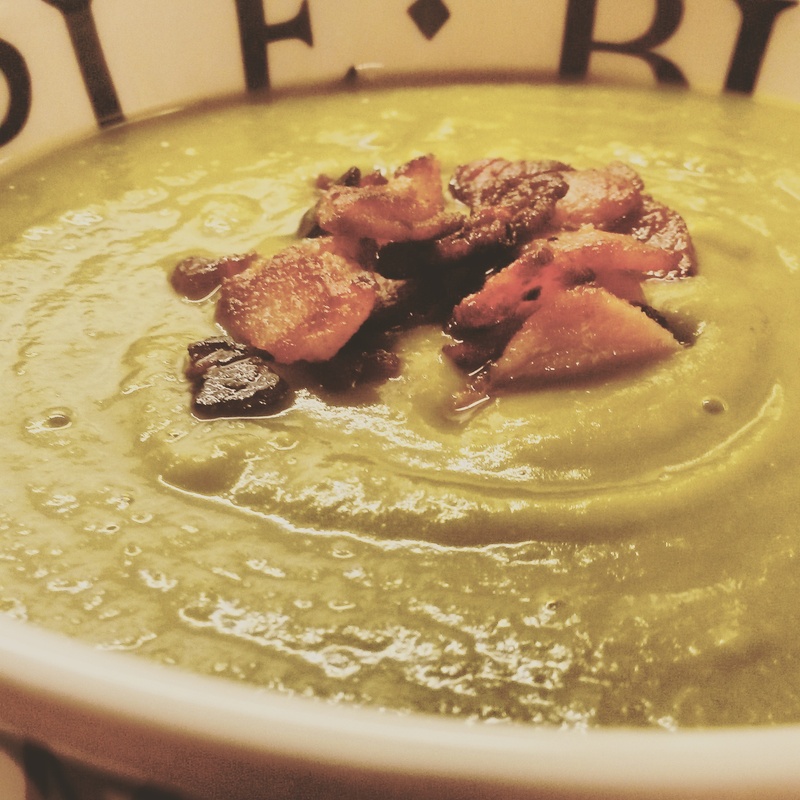 This recipe is a really quick and easy soup for the winter months ahead, and will make short work of a bag of frozen peas! Slice your onions and garlic and sauté in a large pan for 5-10 minutes until they are soft. Add in your frozen peas, and pour in a kettle full of boiling water – make sure your peas are a good inch underwater. Crumble in your stock cube and stir well. Turn the heat down, pop the lid on, and leave to simmer for 20 minutes or so. Mid way through, make sure you taste and season with a little salt and pepper. About 10 minutes before serving, slice your bacon rashers into small pieces and fry in a non-stick pan until crispy. 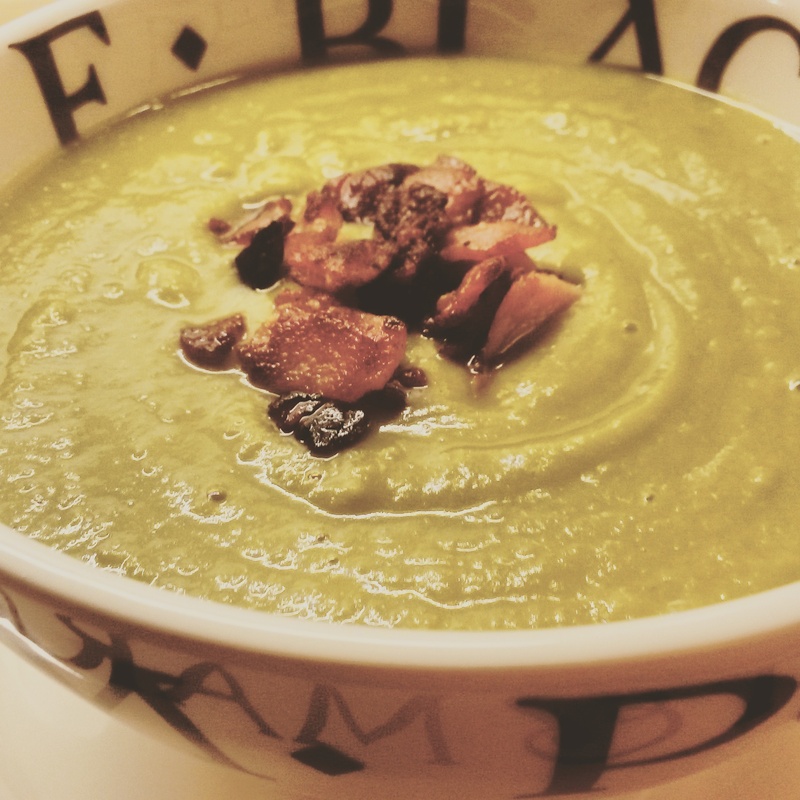 Plate up your soup and place bacon pieces on top straight from the frying pan – a dollop of creme fraîche or cream before the bacon is added would also be delicious. Ideally enjoy your toasty bowl of soup with a lovely, fresh, crusty piece of a bread… or whatever else you’ve got in the freezer – we opted for salmon fishcakes, not a terrible combination, but not a match made in heaven. You can’t have it all! 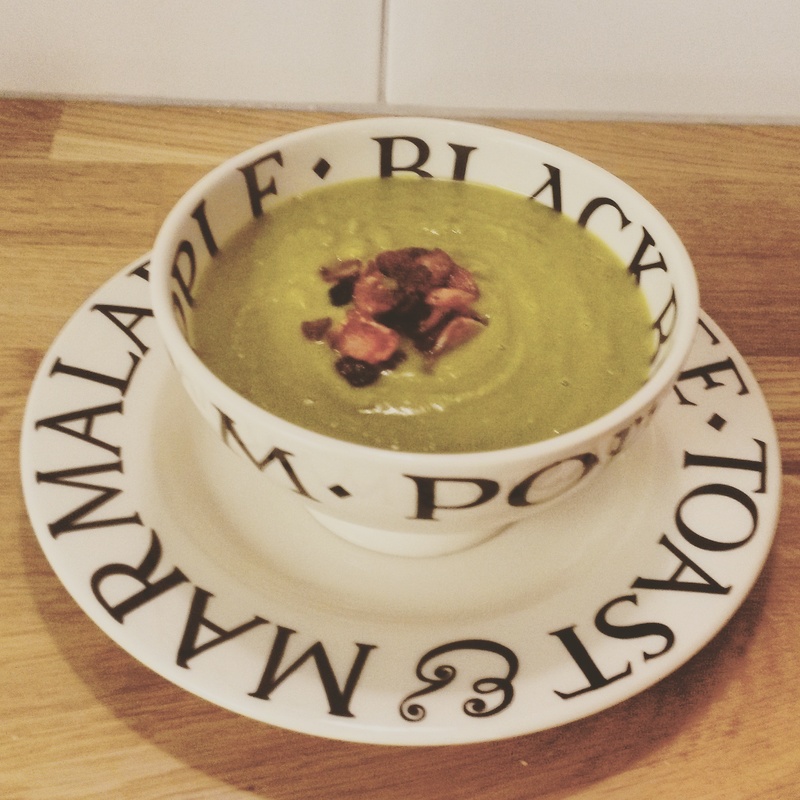 Sounds lovely, my favourite quick soup is very similar except I do bacon first and then blend it with the peas. It is nice with a few bits of crispy bacon on top as well though.